The MULTITORQ portable electronic torque meter displays torque readings from sensors that attach between sockets and driver. 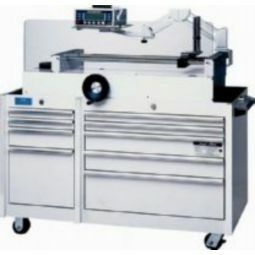 MULTITORQ is a highly versatile torque analyzer/data acquisition system that can be used with sockets, extensions, universal joints, ratcheting drivers or any 2-20 in. ozs. to 150-1500 ft. lb. Accuracy ± 1% of reading (± 2% reading for 20 in. oz., and 10 in. lb.) 10-100% of sensor range. 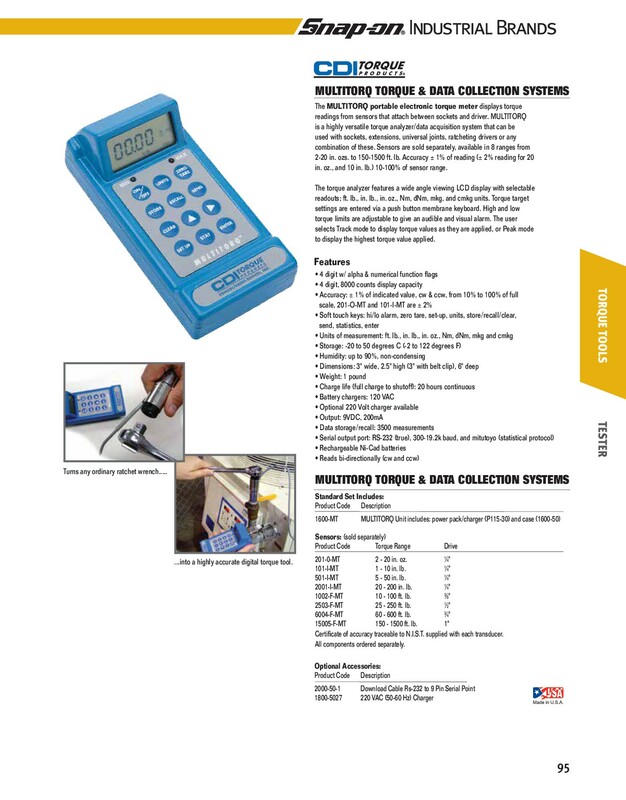 The torque analyzer features a wide angle viewing LCD display with selectable readouts; ft. lb., in. lb., in. oz., Nm, dNm, mkg, and cmkg units. Torque target settings are entered via a push button membrane keyboard. 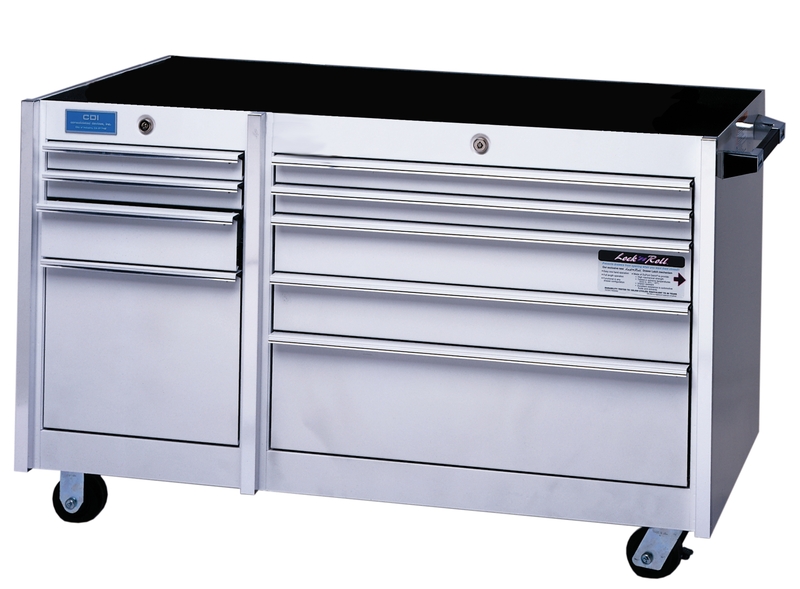 High and low to display the highest torque value applied. 201-0-MT 2 - 20 in. oz. 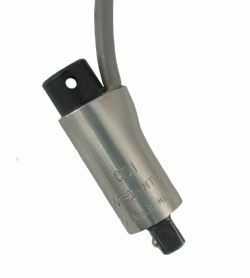 1/4"
101-I-MT 1 - 10 in. lb. 1/4"
501-I-MT 5 - 50 in. lb. 1/4"
2001-I-MT 20 - 200 in. lb. 1/4"
1002-F-MT 10 - 100 ft. lb. 3/8"
2503-F-MT 25 - 250 ft. lb. 1/2"
6004-F-MT 60 - 600 ft. lb. 3/4"
15005-F-MT 150 - 1500 ft. lb. 1"
Certificate of accuracy traceable to N.I.S.T. 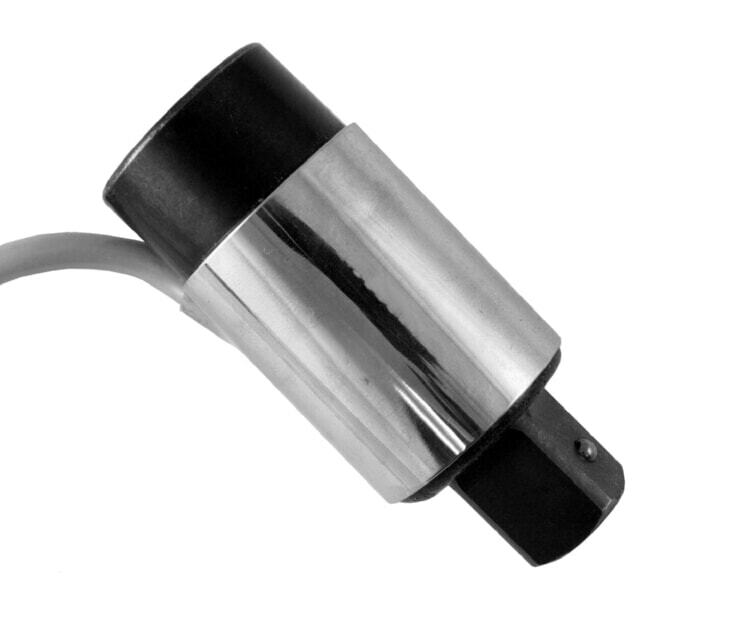 supplied with each transducer.